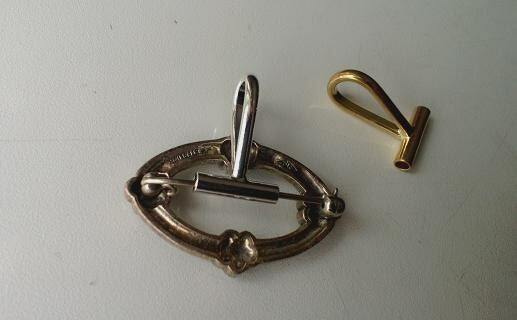 Do you have a pin/brooch that you would love to wear as a necklace? 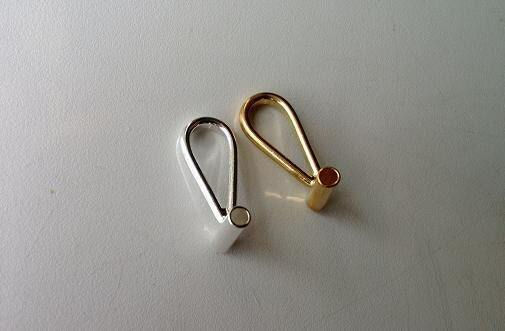 Perhaps you hate putting holes in some of your clothing, but have a pin that would be stunning around your neck? Or maybe you just like versatility....This "Pin to Pendant" gadget does just that! Simply open the pin, slide the needle end through the tube, lock it in place, and wear it around your neck! Simple to use and amazingly cool! 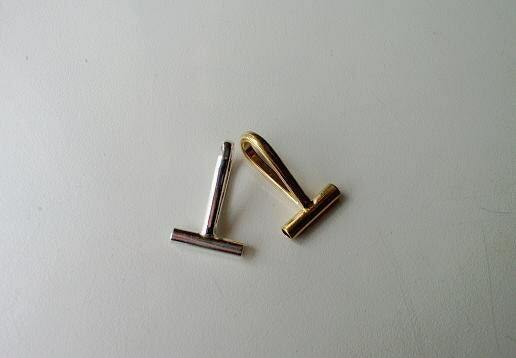 This brooch converter measures approximately 21 x 13 mm. PLEASE NOTE: The pin shown in the picture above is NOT included...it is shown to demonstrate how the converter works. I just received the item today and it is fantastic! I got it in record time too! Just about a week from ordering to delivery! Thank you so much! Unlike other brooch converters, this one has a loop that is actually large enough to thread a chain through-thereby making it a true "converter"
Very useful pin converter, I'm using it right out of the box!